Judge Oliver Wanger is a former United States District Judge (1991-2011) whose practice includes arbitration, mediation, and private trials. He also engages in trial practice, trial consulting, and has served as an expert witness. Judge Wanger attended the Colorado School of Mines, graduated from the University of Southern California and holds a law degree from the University of California (Boalt Hall). 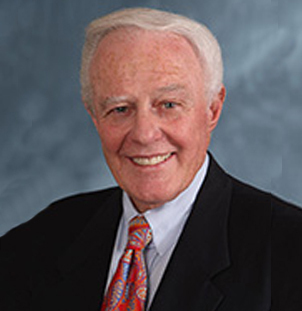 He is a co-founder, former Dean, Chair of the Board of Trustees, President and Adjunct Professor of Law at San Joaquin College of Law, Fresno, California (1970-1994, 2011). Judge Oliver W. Wanger served as a Pro Tem Trial and Settlement Judge to the Superior Court of California, County of Fresno in 1986-1991. He sat by designation on the United States Court of Appeal for the Ninth Circuit in Pasadena, California. His career commenced as a Deputy District Attorney for Fresno County, followed by civil business trial practice in Fresno, and also as a contract City Attorney for the City of Mendota. Judge Wanger was a Sergeant in the United States Marine Corps Reserve during 1960-1967. Judge Oliver Wanger has tried or presided over more than 600 jury trials to verdict in state and federal courts. He has heard many cases involving water law, water rights and environmental issues and drainage entitlements as well as, copyright, patent, and trademark, financial institution, labor and employment, securities, toxic torts, and diversity cases involving business and commercial disputes and insurance coverage and bad faith. He has managed, heard and decided antitrust, construction defects, intellectual property, agri-business PACA and AMAA cases, and class actions in labor and employment, civil rights, mass torts, as well as creditors’ and debtors’ rights and bankruptcy appeals. Judge Oliver Wanger’s expertise in water law and environmental law includes cases under CERCLA, the ESA, NEPA, RCRA, and the Clean Air & Water Acts, as well as government tort claims arising out of lawsuits among the U.S. Department of the Interior, its Bureau of Reclamation, the California Department of Water Resources, water districts, private and municipal and industrial water users, power generators, other federal and state water contractors, and environmental groups litigating the allocation and use of federal and state contracted water. Many of these decisions have been reviewed in the Court of Appeals and one in the United States Supreme Court. Judge Oliver Wanger has extensive experience in complex white collar criminal cases including RICO, career criminal enterprises, cyber-crime, environmental crimes, money laundering, mail and wire fraud, public corruption, and organized crime. State Bar Section programs on environmental law and litigation, federal and state trial practice, civil procedure, and trial evidence, and has lectured and moderated forums on water law and state and federal water rights. Mr. Wanger’s achievements as a trial lawyer gained him Fellowship in the American College of Trial Lawyers; International Academy of Trial Lawyers; American Board of Trial Advocates (President of San Joaquin Valley Chapter and a National Director); Litigation Counsel of America (rank of Centurian), Founder Diplomat of the American Board of Professional Liability Attorneys; a former Certified Civil Trial Specialist by the National Board of Trial Advocacy; Founder and President of San Joaquin Valley Inns of Court. He has received numerous awards, some of which include: U.S. Congressional Tribute (2011); Los Angeles Daily Journal Top 100 Lawyers (2008); Teacher of the Year Award, SJCL, Fresno; NAACP Image Award; and Central California Legal Services Champion of Justice.